To give ourselves a little nudge, we have come up with a bucket list of 20 great things to do in New Zealand. This list was assembled with the help of friends and fellow travel bloggers who shared their favorite New Zealand experiences with us. While we normally write about past adventures, this New Zealand bucket list will serve as an inspiration for our trip to come. The Bay of Islands is one of the country’s most popular destinations for those who love undeveloped beaches and water sports. With 144 islands, it’s the ultimate playground for beach bums and adventure seekers. Although hiking and bicycling are good options, we want to explore the island wonderland by sea kayak. This region also has some of the warmest waters in New Zealand, which makes swimming much more fun. For most visitors flying into New Zealand, Auckland is their first point of contact. Our pick for the city is Giapo, an ice cream shop which serves artisan ice cream with an out-of-this-world twist. At Giapo, there is no ice cream on display. Instead, curious visitors get to taste their flavors of choice, then pick a shape or theme from the menu. Afterwards, it’s all whipped up freshly in the kitchen… and voila! 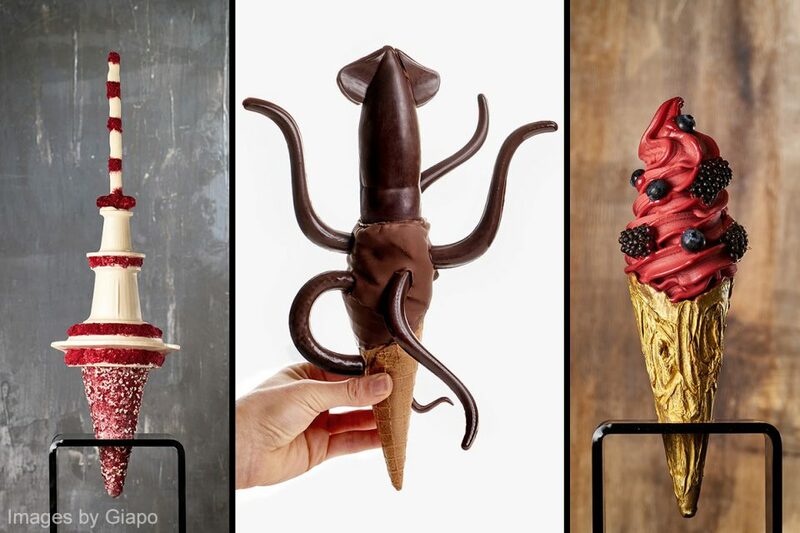 Come on, who wouldn’t want to taste a frozen creation that looks like a colossal squid? We do! 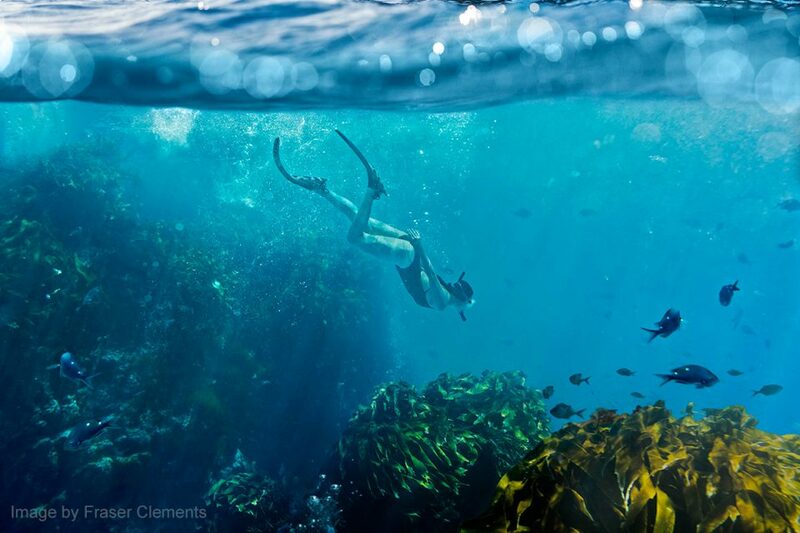 When it comes to diving locations, the Poor Knights Islands always seem to be at the top of every must-do scuba list. Located near the Bay of Islands, this protected marine preserve boasts a spectacular underwater topography and an abundance of wildlife. 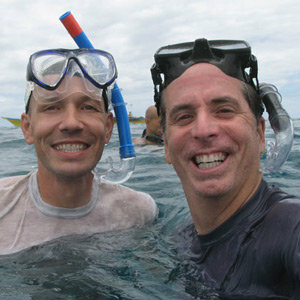 Our friend Becky recommends this diving spot for its underwater caverns, rays, sea grass and colorful nudibranchs. We are huge nudibranch nerds, so we are sold! I don’t even know where to start. The Coromandel Peninsula is just an hour and a half from Auckland and has so much to do – stunning beaches, hot springs, rainforest, and sweeping vistas. It sounds like the perfect place to explore by bike. Other worthwhile attractions on the peninsula include the geothermal Hot Water Beach, the Pinnacles Walk, the Cathedral Cove, and the Waiau Kauri Grove and Waterfalls. 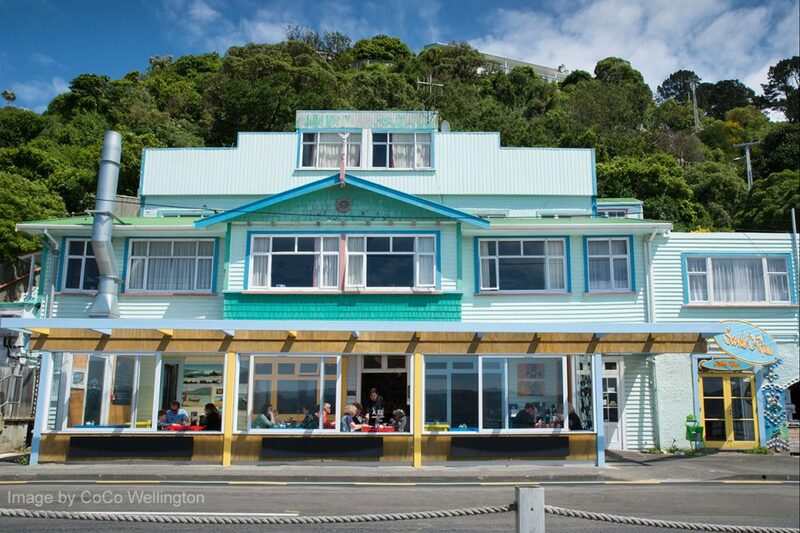 Raglan is a cute little coastal town which is most famous for its black sands and epic waves. While novice surfers (that would be us) flock to Ngaranui Beach, intermediate and advanced surfers ride the left-hand breaks at Manu Bay. 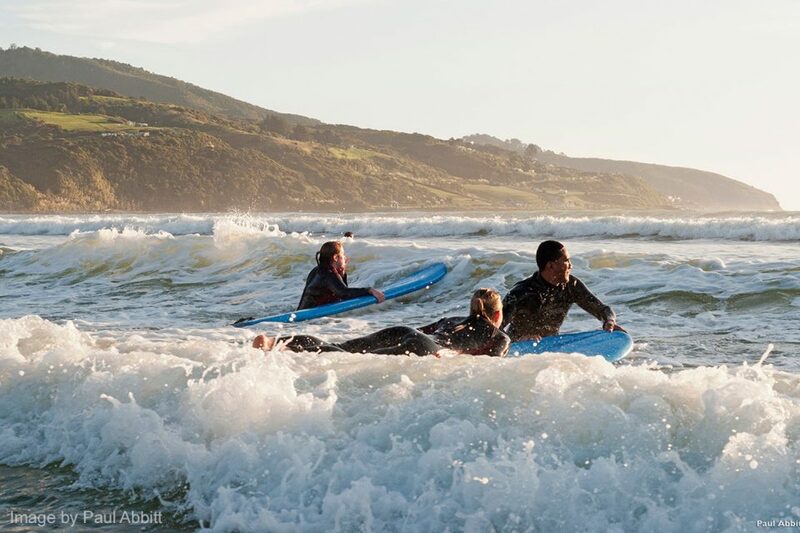 Our surfer friends spent six weeks surfing in New Zealand, and Raglan ended up being one of their favorite surfing spots (plus they really enjoyed the restaurants there). 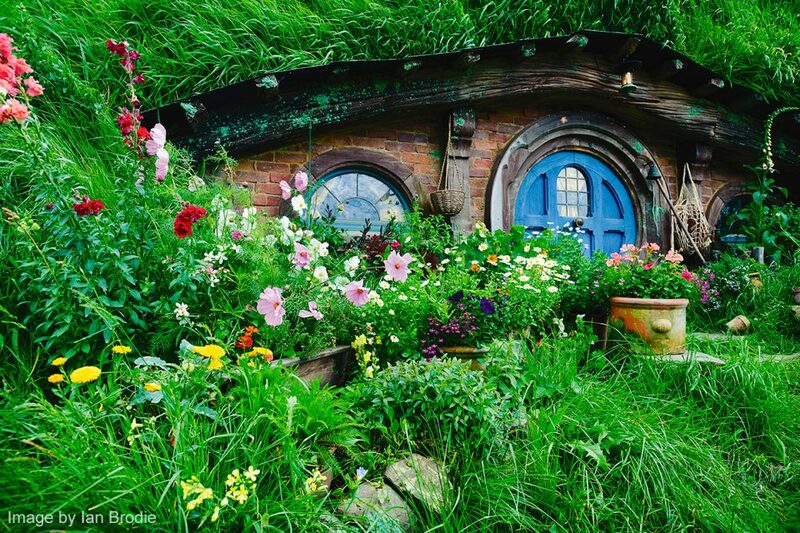 The Hobbiton movie set is one of New Zealand’s major tourist attractions and is an obvious must for any Tolkien fan. It was built for The Lord of the Rings trilogy and The Hobbit series, and is meant to take you right back to your favorite movie (or book) moments. Our friend Garrett has taken more than one stroll through the shire and highly recommends the Hobbiton movie set tour and the evening banquet tour with a feast fit for a Hobbit. Yum! One of the most fascinating aspects of New Zealand are the Maori people. While Maori culture can be seen all over the island, our friends recommend the lovely town of Rotorua which is the center of everything Maori. This is obviously THE place to be. Locations to visit are the New Zealand Maori Arts and Crafts Institute, the Whakarewarewa Maori Village and the Tamaki Maori Village, both of which also offer traditional hangi dinners. 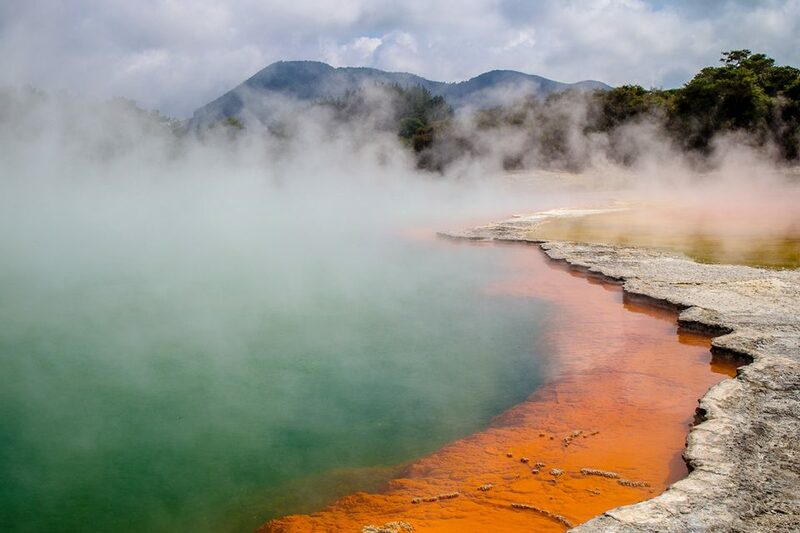 Rotorua is not just famous for its Maori culture but also for its geothermal features. 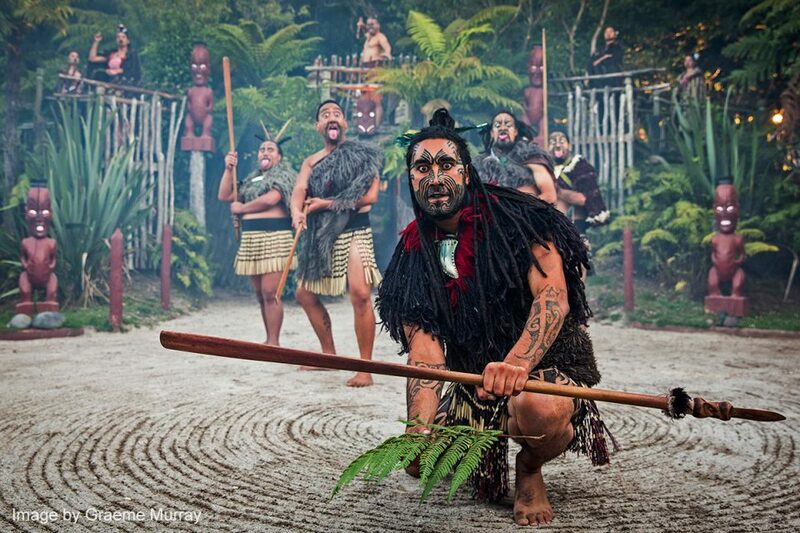 Visitors to the Whakarewarewa Maori Village can also explore the area’s geysers, mud pools and hot springs. Other spewing and bubbling attractions are Wai-O-Tapu’s Champagne Pool and Hell’s Gate’s hot-water waterfall and mud pools. We can’t wait to take our first mud bath! Obviously, Rotorua is a treasure trove of fun thing to do. Zorbing, or rolling down a hill in an inflatable ball, is yet another iconic experience in the area. 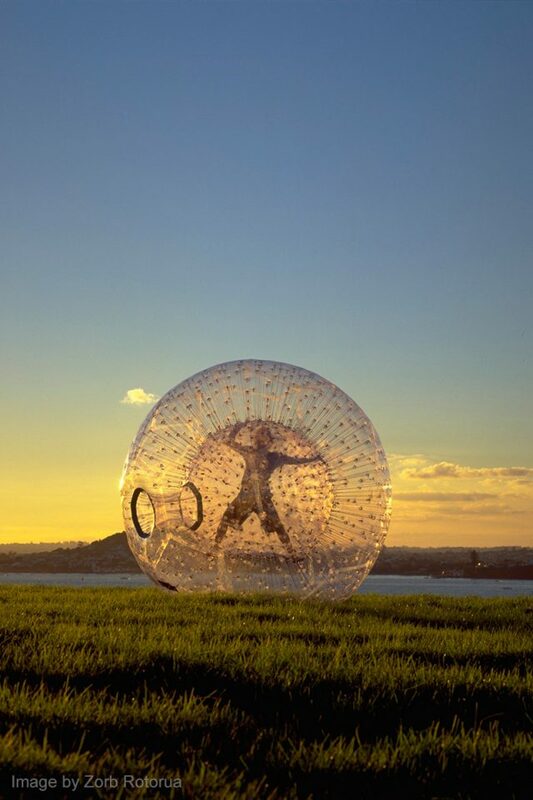 Zorbing was invented on the island and is a very New Zealand thing to. Clearly, there’s just no way around it. We have got to go! 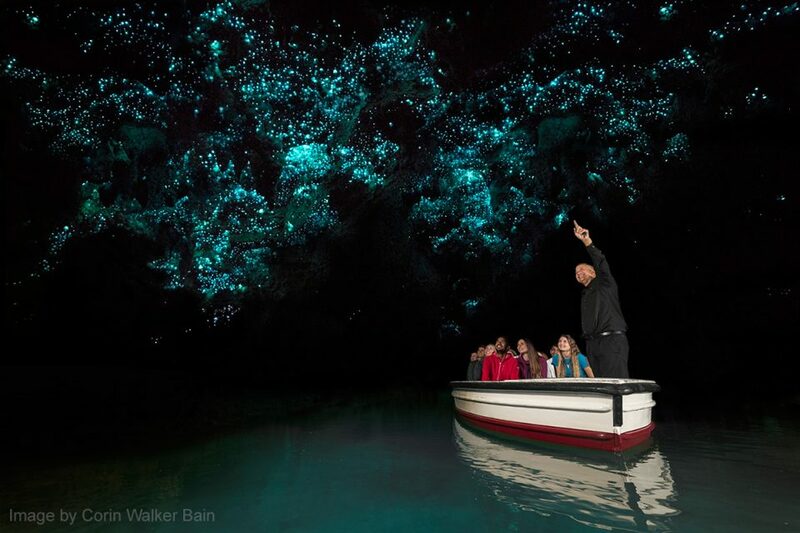 Apparently, there’s just one word to describe the glowworm caves – AWESOME. Our friend Garrett highly recommends the underground boat ride or the Black Water Rafting adventure through the Glowworm Grotto. The latter activity – which is for the more adventurous types – includes tubing, abseiling, jumping and climbing through the subterranean Waitomo Caves. Sign us up! Often described as the country’s greatest day walk, the famous 19-kilometer hike through an active crater landscape sounds incredibly beautiful. Hikers get to see emerald-green lakes, lava flows, steam vents and spectacular views. 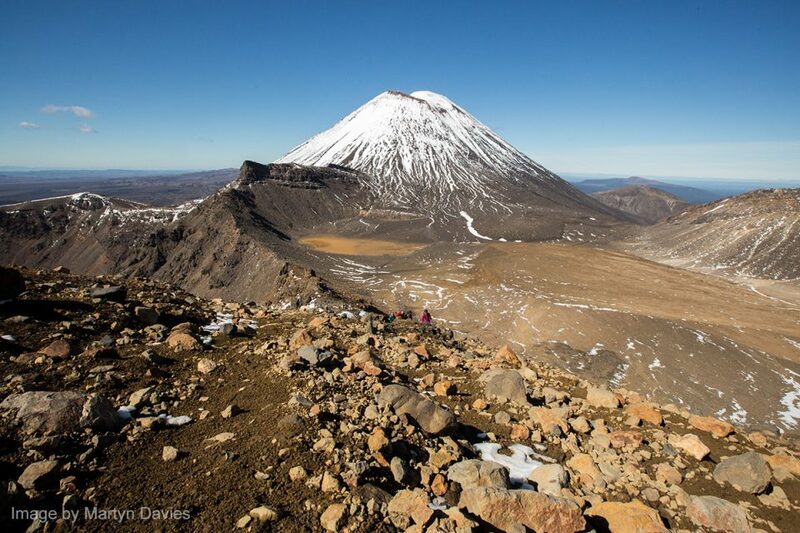 Tongariro is not only New Zealand’s oldest national park, it also boasts a dual UNESCO World Heritage status due to its spectacular nature as well as its cultural significance for the Maori people. Wellington seems to be everybody’s favorite city in New Zealand – and not just because it’s the craft beer capital. It’s hip, it’s cool, and it reminds many people of a mini San Francisco. Wellington is also home to Te Papa, the national museum of New Zealand. Our friend Laurelle raves about it and recommends the interactive and visitor-focused museum to learn about New Zealand’s natural and cultural history. We are in! Kaikoura, which is well-known among wildlife geeks, is likewise a great place for cheese aficionados. 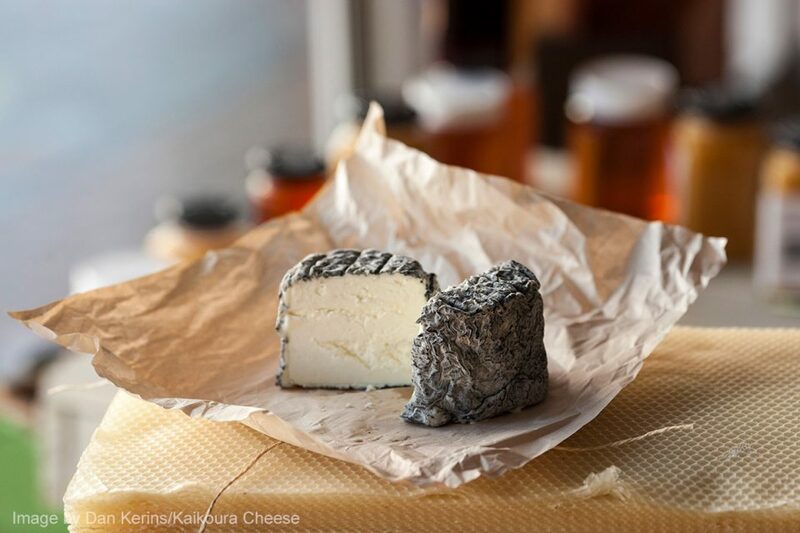 Somehow, the handcrafted tenara ash-coated goat cheese of Kaikoura Cheese has caught my attention, and I can’t get it out of my head. There’s a thread on Tripadvisor called “Not just any cheese, but NZ cheese” – I think that says it all. We may actually have to arrange our New Zealand itinerary around this cheese. Kaikoura is a picturesque coastal town famous for its abundance of marine life. Giant sperm whales, dusky dolphins and fur seals can be seen all year round. Visitors can also spot orcas and – depending on the season – humpback whales, pilot whales and even blue whales. 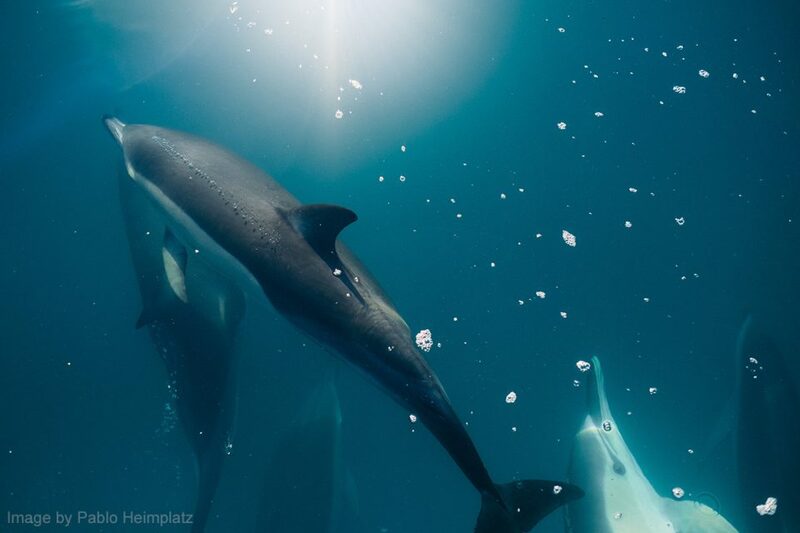 One of our biggest goals for Kaikoura is swimming with dolphins. I have never managed to do this myself, so it would be a major victory. 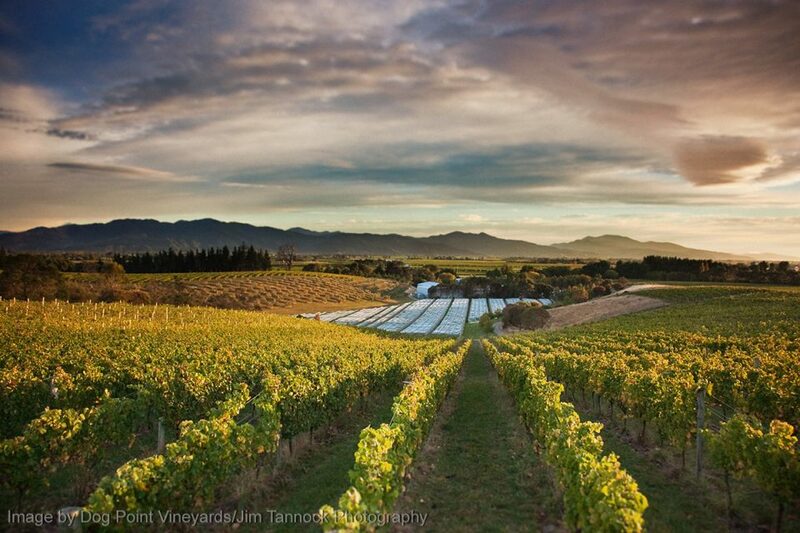 The northern tip of the South Island is home to the world-renowned Marlborough wine region. The town of Blenheim features more than 20 wineries in its immediate vicinity, and they are all within driving distance. 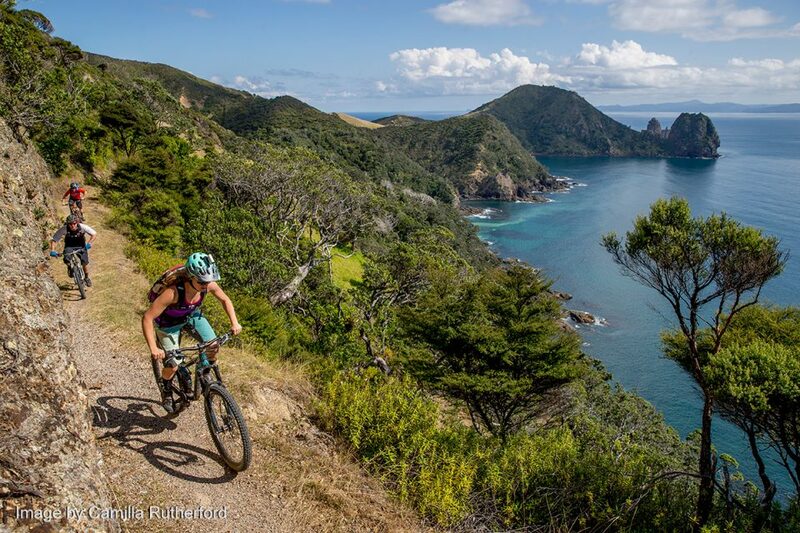 For serious wine sampling, it’s probably best to follow the New Zealand wine trail by bike. We are definitely looking forward to the Marlborough region’s famous Sauvignon Blanc. 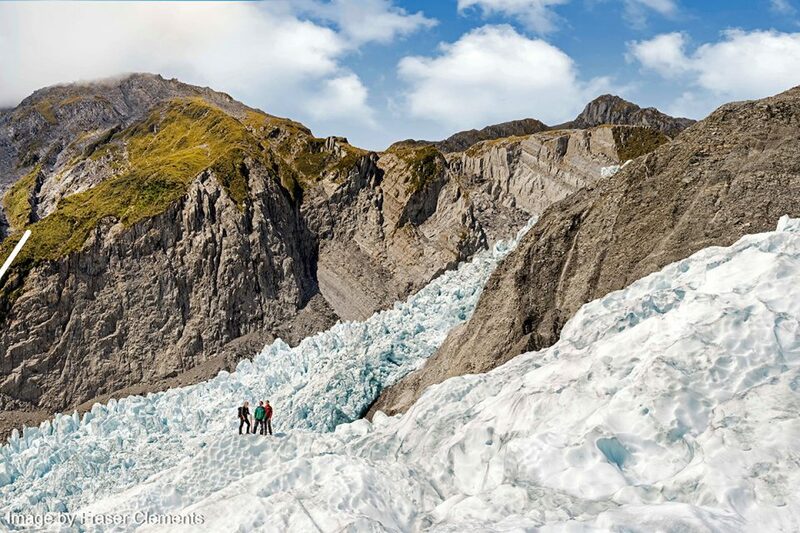 Most of New Zealand’s glaciers are located near the Main Divide of the Southern Alps. Just like Patagonia’s famous glaciers, they are easily accessible for hikers and are incredibly rewarding. Some of the most famous ice floes are the Fox and Franz Josef Glaciers as well as the Tasman Glacier in the Aoraki/Mount Cook National Park. This area is also famous for its Alpine salmon farms and its delicious salmon sashimi. To me, glaciers and fish snacks sound like a perfect combination. Penguins are among our favorite animals, so it goes without saying that visiting a penguin colony in New Zealand is just a given. Oamaru’s colony of blue penguins – the smallest penguin species in the world – can be seen at the old stone quarry by the harbor. 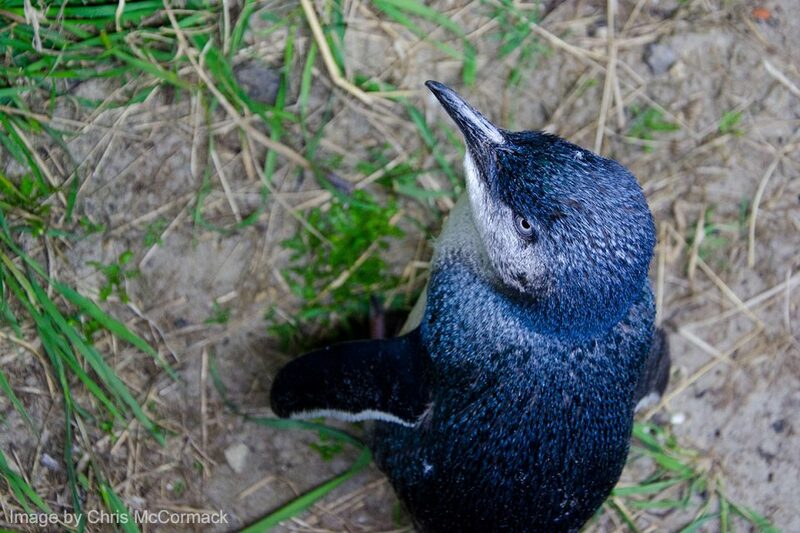 Visits are arranged through the Oamaru Blue Penguin Colony Conservation. Other areas where the little blue penguins hang out are Marlborough Sounds, Akaroa Harbour, Dunedin and Stewart Island. 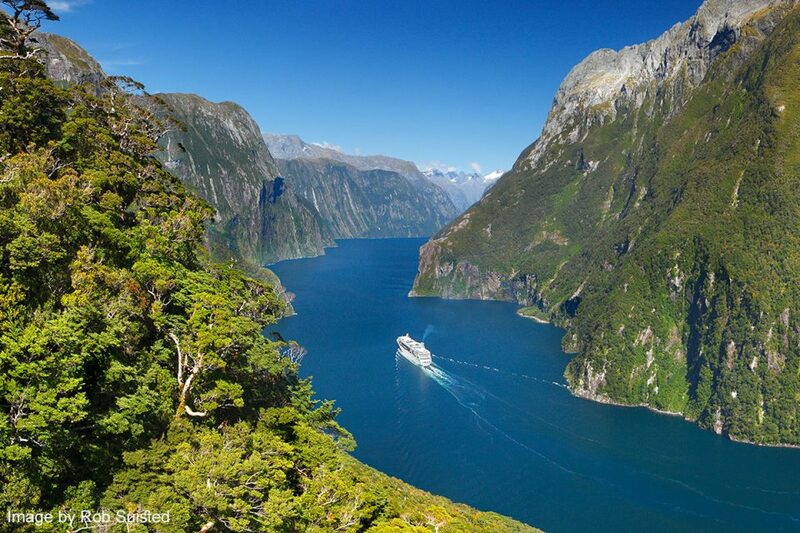 A boat cruise from Milford Sound is another must-do, simply for the breathtaking scenery. The towering Mitre Peak, the fiord’s ink-blue waters, and a chance to see dolphins, seals and penguins are among the highlights of this cruise. Visitors to Milford Sound can easily arrange a day trip from Queenstown, THE city for “extreme sports weirdos” (according to our friend Laurelle). 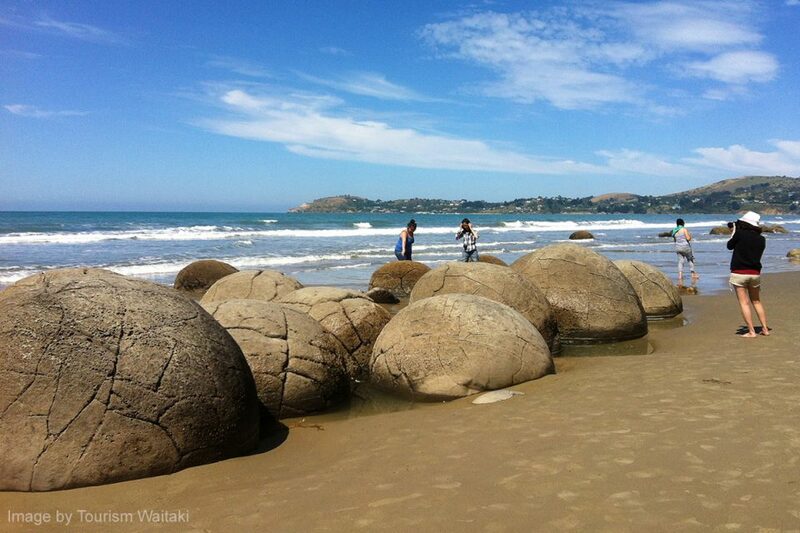 Located on Koekohe Beach along the North Otago coast, the mysteriously spherical stones are scattered across the beach and make for a photogenic outing. We are all for strange formations, so we can’t wait to see them. What would a visit to New Zealand be without seeing the national bird of New Zealand. Finding a kiwi in the wild is my personal top goal. 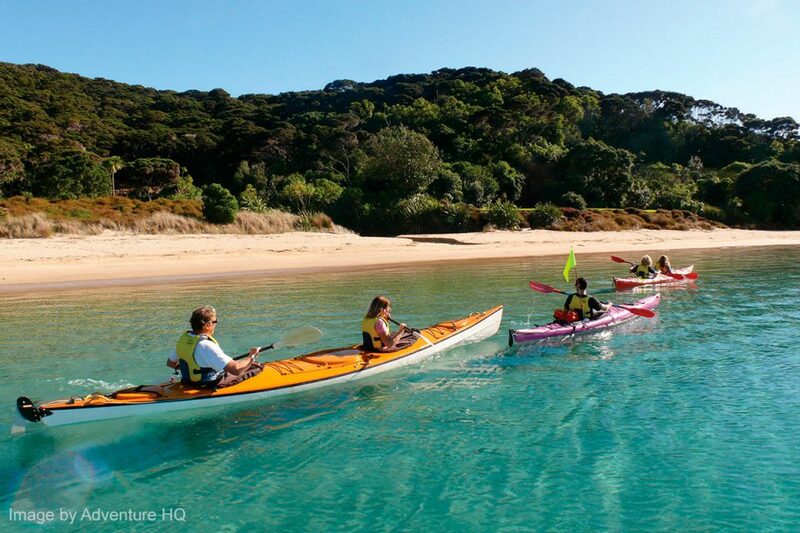 The one place where visitors can reliably see kiwis is on Stewart Island off the southern end of the South Island. The 15,000 birds are active day and night, which dramatically increases the chances of spotting one. 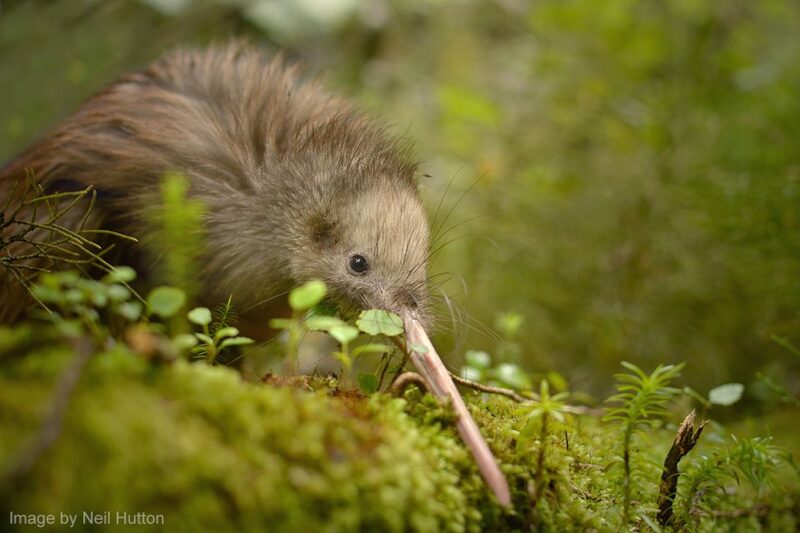 We are interested in hiking the backcountry trails to find our own, but guided kiwi spotting tours are also available. 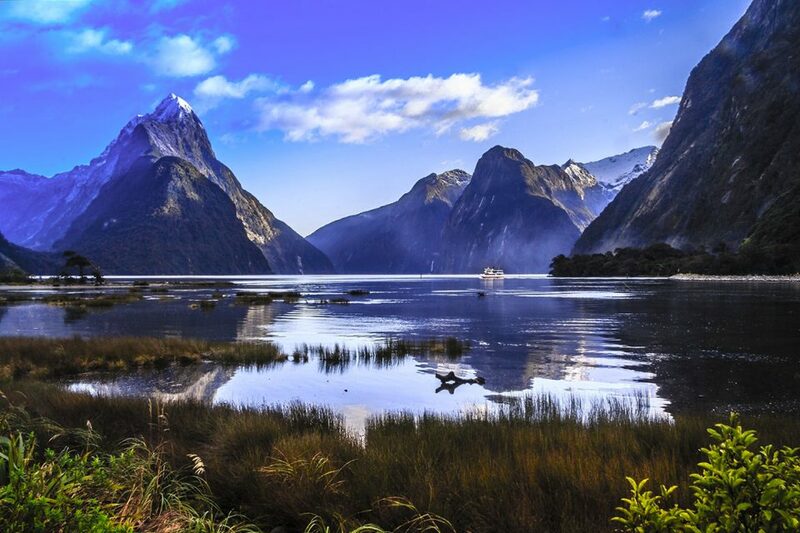 Well, this concludes our list of 20 great things to do in New Zealand – for now! If you can think of any other must-do activities, let us know in the comment section below. Thanks for this list. Is that berry ice cream cone covered in gold? Can you eat that? Visit Glenorchy and the surrounding valleys.